Your spirit and energy allowed the sit-in to continue longer than any of us would have dreamed thus drastically heightening public awareness around the dire state of public education nationally. In spite of 9 months of marches, actions at the school board, petitions, pickets and an 18 day sit-in the relentless inhumanity of the School Board could not be swayed. The closure of Lakeview, Santa Fe, Maxwell Park, and Marshall has displaced over a thousand children and shattered communities. It is a symbol that we have a lot of work left to do. Just over the past three months since the sit-in the attacks on public education have accelerated. 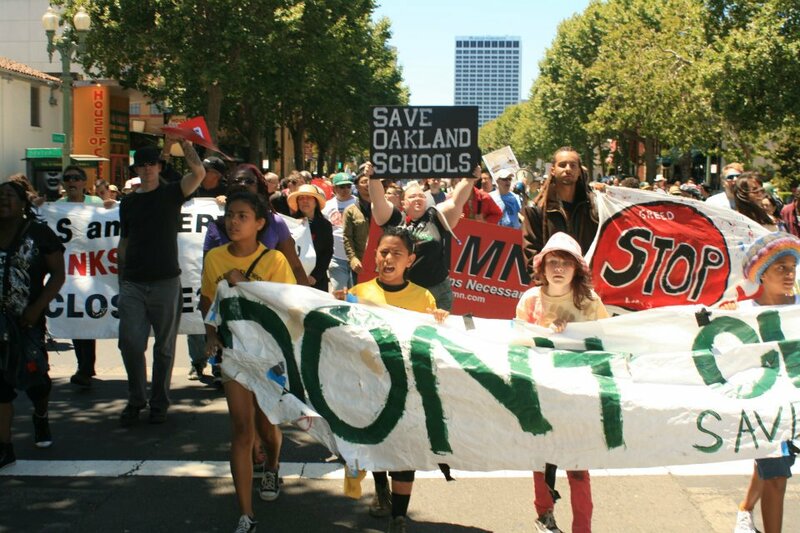 In Oakland the OUSD Special Education Department continues to fight cuts and the school police presence is increasing under OPD’s new strategic plan. San Francisco City College faces historic austerity measures that will limit enrollment to only those seeking eventual transfer and a Bachelor’s Degree. 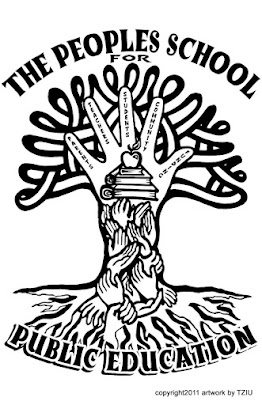 All the while, the austerity measures and push towards privatization, such as the new proposed policy to allow parents to vote for school charter status, is ever increasing.The Chicago Teacher’s Union’s momentous and successful strike for a fair contract and full services and programs for their students gives us hope for the potential for collective struggle here in Oakland. As the school year begins and our political energy may well be diverted by everyday pressures we need to begin creating alliances between teachers, patents, school workers and other struggles to build a forceful movement for quality public education and the protection students’ and teacher’s rights. We hope that everyone continues to share in the work and keep our connections strong with in and across different issues. There is so much work to be done. We must join together to fight attacks on special education and veteran teachers. We must resist the use of standardize testing as a ruler of success for teacher’s and students. We must demand funding for more arts and extracurricular programs for all students. We cannot do this alone. 1) Get a copy of our upcoming third edition of the Education Committee newsletter addressing issues facing education locally, nationally, and internationally. Available beginning of October, 2012. Please stay in contact. We look forward to working with you! Again, thank you for all the work you do and for your support during the Lakeview Sit-in. It wouldn’t have been as successful with out you.